I hope you all listened to my recommendations of Marco Fabian and Max Kruse last weekend! The two stars scored 23 points apiece on Matchday 30 - the only down side is I didn't draft either of them into my team! 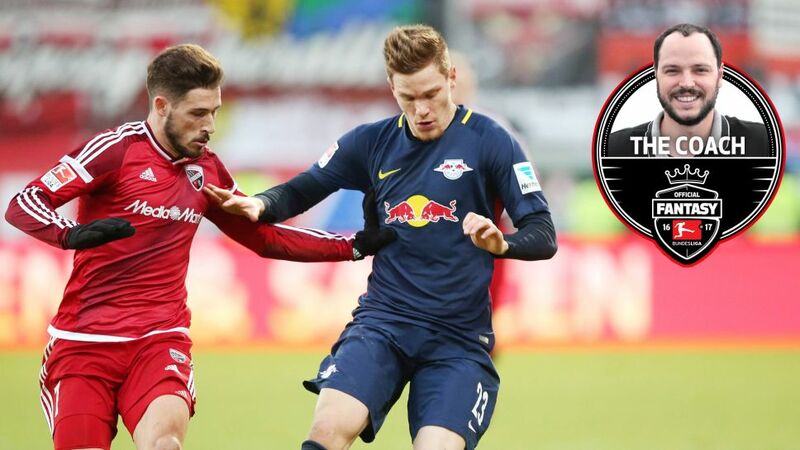 Where do you rank in the Fantasy Bundesliga standings after MD30? Click here to find out! But that's all in the past now and, with four games left to go, I'm demanding triple-digit returns of myself from now until the end of the season.To help me do that I've picked out another three fixtures that should provide dividends. I'm sticking my neck out here a little. Leverkusen have won four of their last five games against Schalke, who themselves have picked up just 10 points from a possible 42 on the road this season. However, given that Leverkusen have collected just a single win since Tayfun Korkut took over as head coach and are without a home win in four, my gut is telling me that Schalke's battling qualities will see them pick up all three points in this must-win encounter.